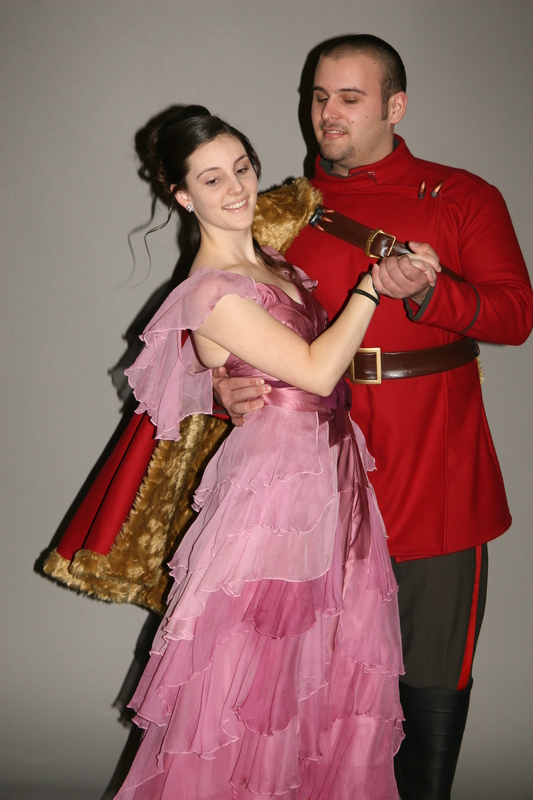 Thanks to Lady Amaryllis, Caroline Smeby, Caitlin Postal for caption help on this page. 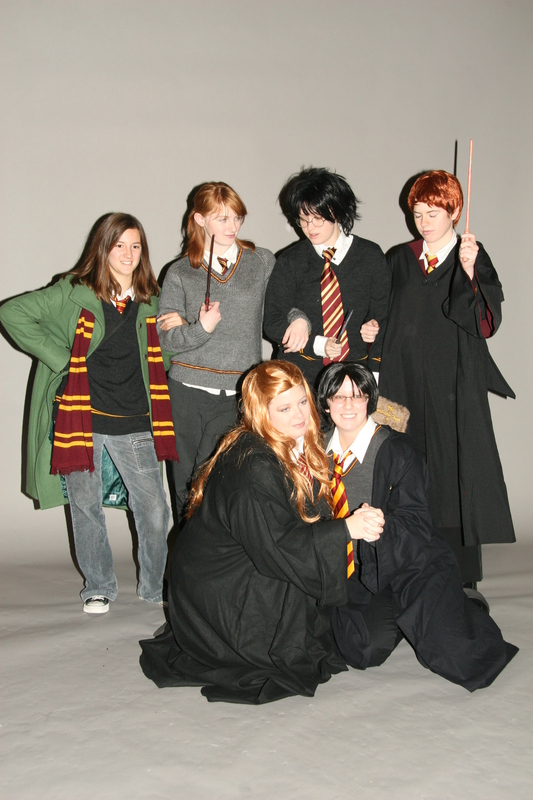 5053-01 high-res image, 5053-02 high-res image, 5053-03 high-res image, 5053-04 high-res image, 5053-05 high-res image, 5053-06 high-res image, 5053-07 high-res image, 5053-08 high-res image. 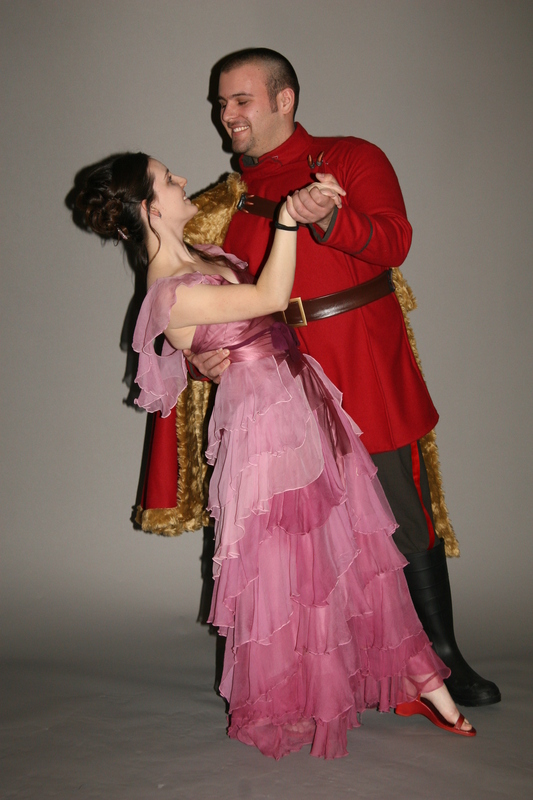 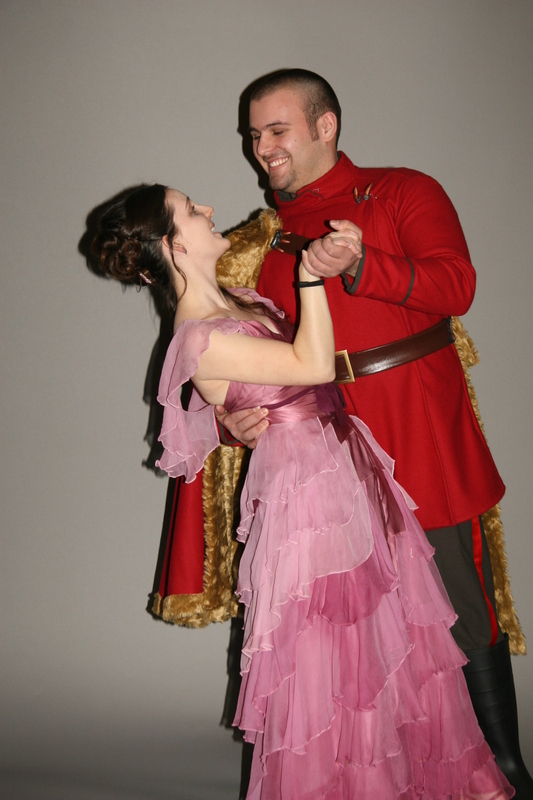 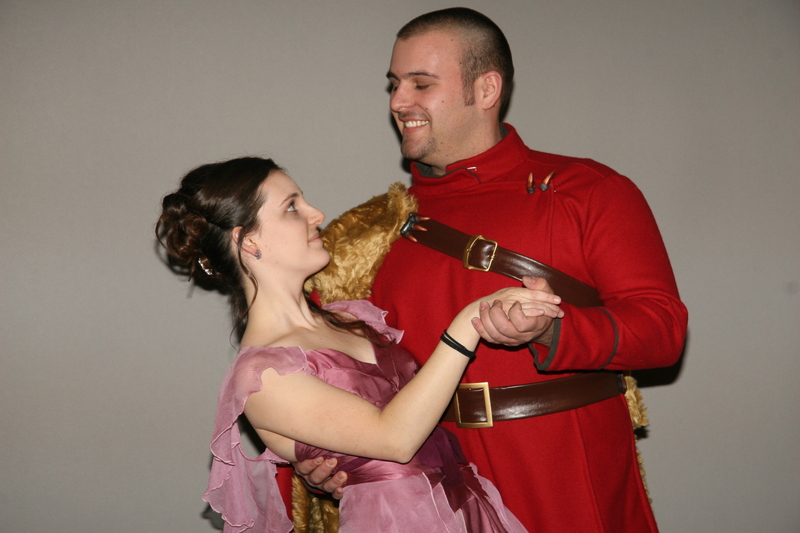 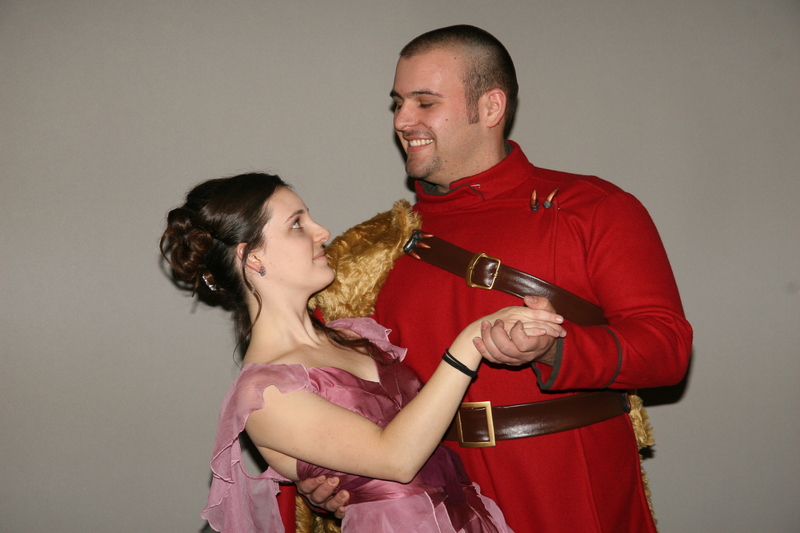 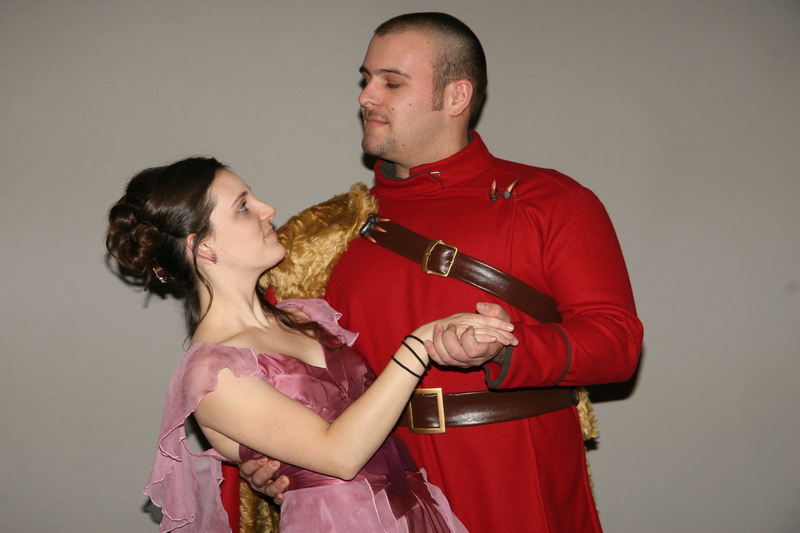 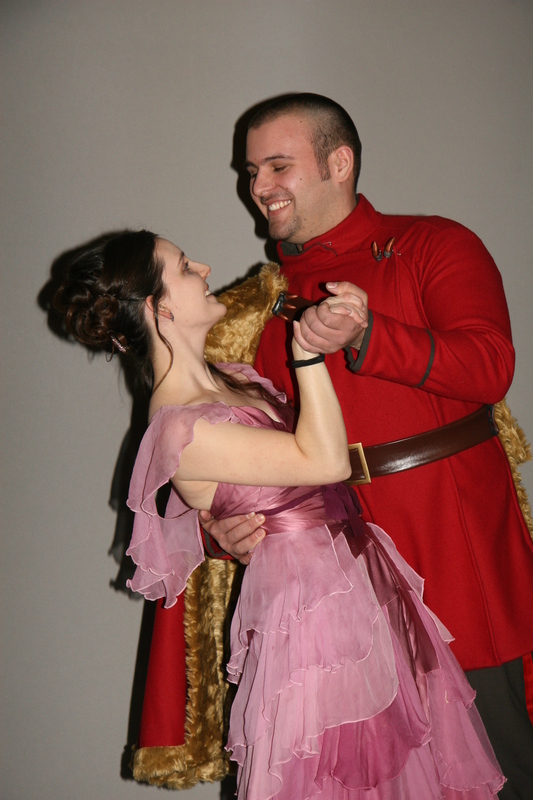 Lady Amaryllis as "Hermione Granger" and Graike as "Viktor Krum" at the Yule Ball. 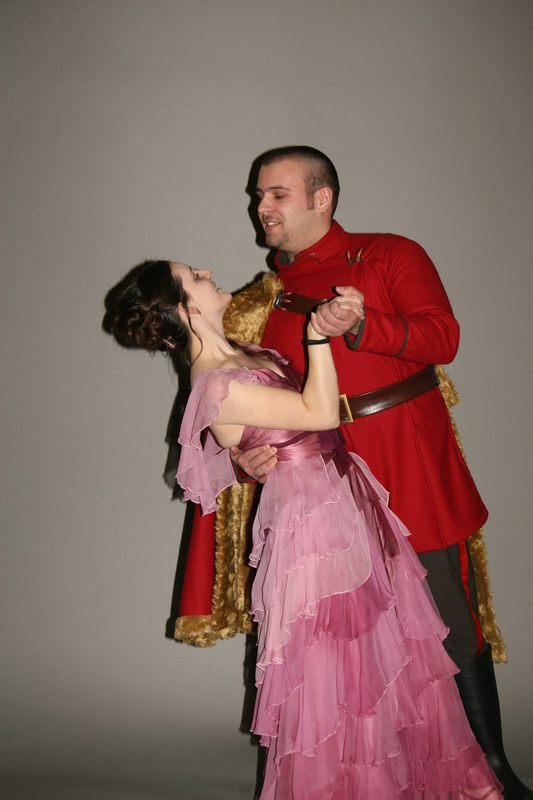 5053-09 high-res image, 5053-10 high-res image. 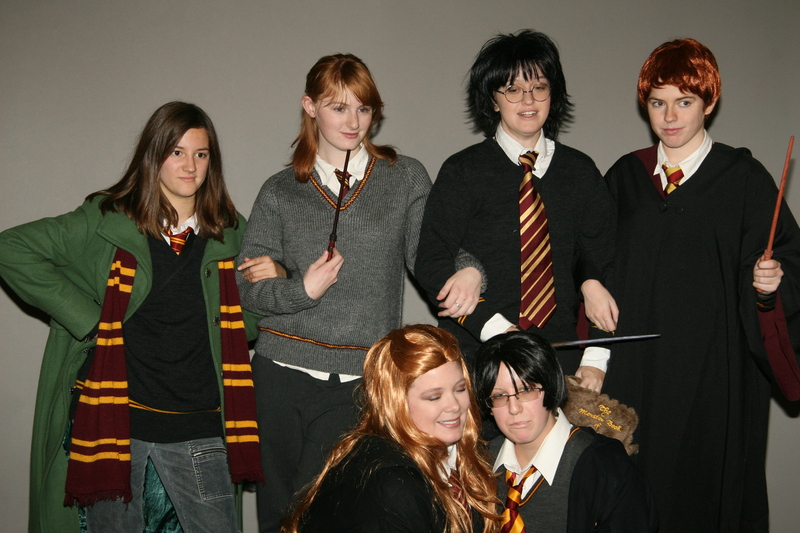 Left to right: somebody in green cloak as "Hermione Granger," Caitlin Postal (Sonsko-chan) in grey as "Ginny Weasley," Tiffany (Neo_Serenity) as "Lily Evans" on floor in strawberry blonde wig, Hakujou_Muse standing with black hair as "Harry Potter," Divine Sage as "James Potter" on floor with Tiffany, and Zelamir91 as "Ron Weasley" standing in back with wand up.